Children explore themes and work on long-term projects. We develop individual portfolios that demonstrates each child’s unique abilities, achievements and progress through authentic samples of their work and detailed notes from ongoing observations to enhance the quality of childhood educational development. Through monthly field trips, children explore the community and connect what they have learned in the classroom, to outside experiences first-hand. In addition to your classroom interaction with the teachers, you will also meet them at regularly scheduled parent-teacher conferences which include a comprehensive review of your child’s developmental screenings, classroom portfolios, and the teachers’ anecdotal observations. Spacious and newly renovated classrooms and playground. Children’s projects are documented and displayed through artwork, photographs, words, sculptures and natural materials. Our classrooms are part of our learning and teaching environment; materials are carefully selected to stimulate, inspire, and challenge the children. Classroom toys and materials are rotated in an on-going basis to coincide with children’s interests and monthly themes. For example, the dramatic play areas will become restaurants, doctor offices, farmer’s markets, post offices, and much more. 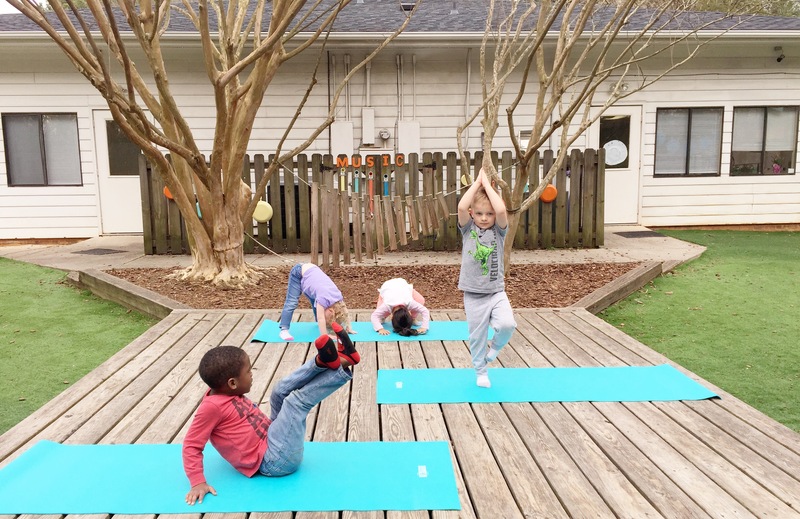 The classroom supports children’s social and emotional skills, including areas that children can practice yoga, breathing techniques, and other ways to calm their bodies. Our low teacher to child ratios and small classroom sizes ensures that your child receives individualized and personal attention.